Over the course of the turbulent autumn of 2017, correspondents in Spain have had a privileged view of the events that took place before, during and after the Catalan referendum of October 1st. Firstly, because the Catalan government itself gave them an important role to play in internationalizing the conflict. And, secondly, because they looked at the facts from the unique perspective of being free from an emotional tie to the issue. 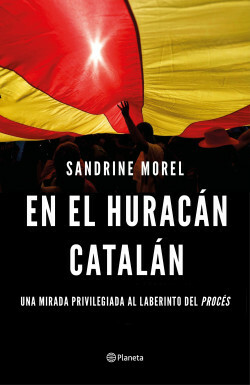 Nobody, however, should expect a sterile analysis of the facts, because the book does not spare criticism and highlights the manipulation, mobilization and repression strategies carried out by the parties, and furthermore gives its own version of the true motives behind the events - historical, political and economic - that led to the conflict. Sandrine Morel, correspondent for Le Monde in Spain, who has lived in Spain since 2007, gives her version of what happened with first-hand information and conversations with some of the key protagonists.